We care and we want to make a positive impact on people’s lives. We are passionate about what we do. 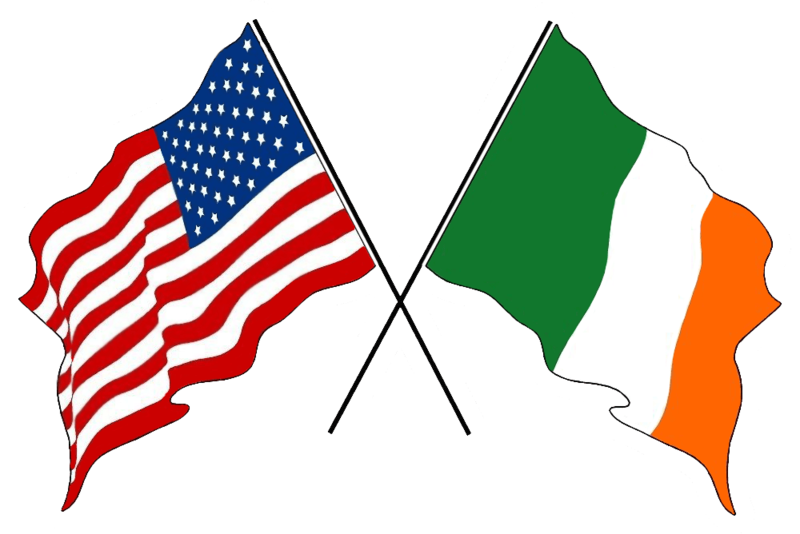 We have many friends in law enforcement, in corporate America, and even some international supporters – we sincerely thank them all. Learn more about the upstanding volunteers that lead our organization. One parent must be available at all times, often having to quit work. This is where we step in, giving that family $5,000 to use as they see necessary. Our hope is to remove some financial burden so all their energies can go to helping their child beat cancer and live a healthy life. 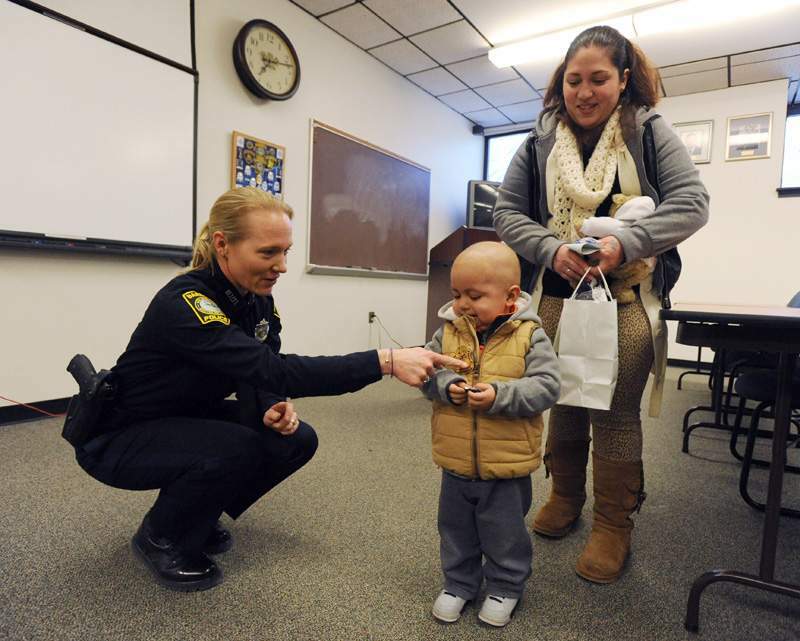 Please support Cops for Kids with Cancer so we never have to deny a struggling family a helping hand. Please donate to help us maintain this worthy mission. 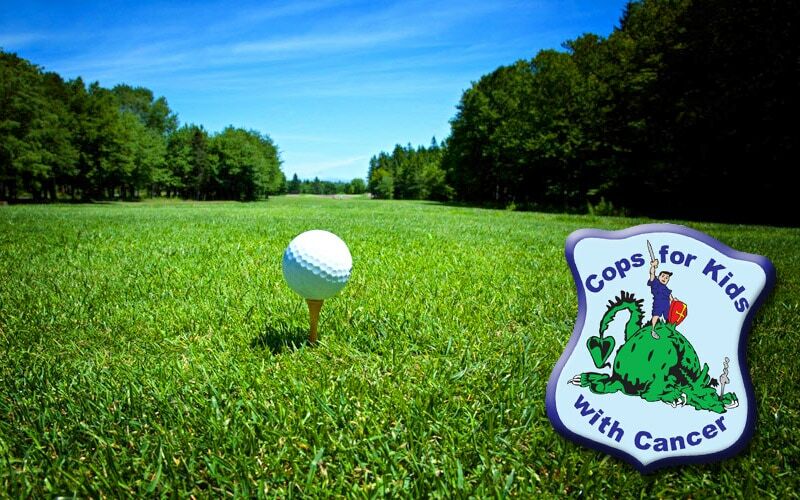 Our charity began as a golf rivalry between Captain Dow’s Boston Police team and members of Ireland’s Garda Siochana, led by Detective Pat Hanlon. That small group determined that the event should raise funds to be donated to a local hospital, specifically to help children with cancer. Here we are, over a decade later, carrying on their wonderful mission. We’ve grown a bit since we were established in 2002. Now we have a 20-plus person Board of Directors comprised of active and retired police officers, and friends of law enforcement. All are volunteers, receiving no salaries. We all work very hard to plan events and keep our overhead to a minimum. The funds that we raise go to people directly involved in the care of children with cancer, with each family typically receiving $5,000. There are many organizations raising money for important research, but our goal is to help the children and their caregivers through this most difficult crisis. 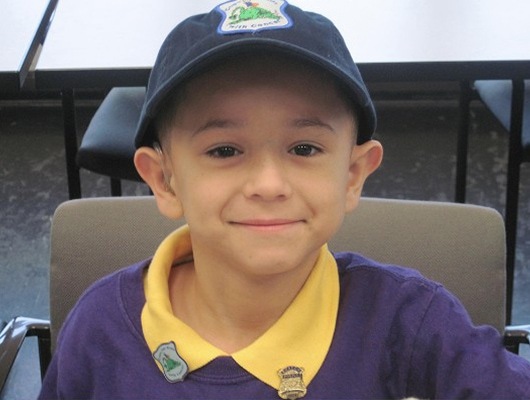 Cops for Kids with Cancer is a 501(c)(3) charitable organization focused on raising funds to provide assistance to families of children fighting cancer, to improve their quality of life. For several years, we only made donations to the children’s oncology units at Massachusetts General Hospital and the Floating Hospital for Children at Tufts Medical Center. The donations were specifically earmarked for items or activities that would make an extended hospital stay a little less daunting. 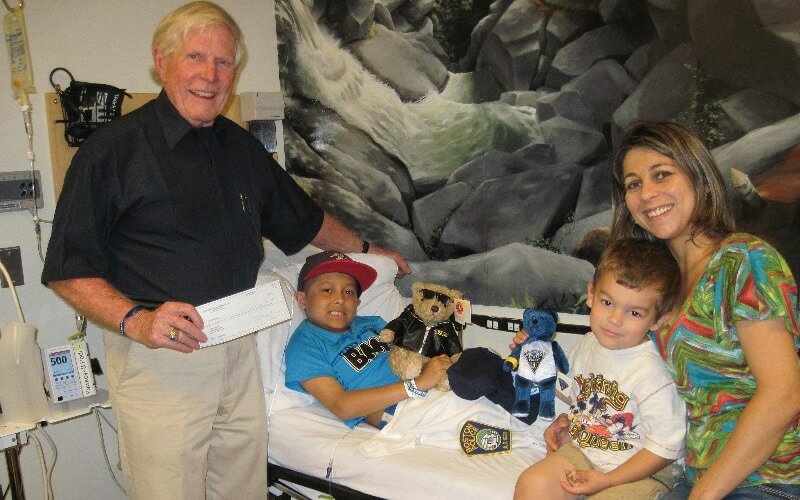 Although we still continue those donations, in 2008 the Board of Directors established a process to get sorely needed funds to individual families caught in the web of pediatric cancer. In addition to the crushing emotional toll taken, there is a financial domino effect in having a child diagnosed with cancer. Most often, one parent must leave a job. Some treatments are not fully covered by insurance. It’s expensive to come to the city every day to be with your child – gas costs, parking fees and meals can add up quickly, and all this on a income already cut in half. Families, once solvent, now find themselves on the financial brink. WE CAN ALL HELP. Our donations have, for example, saved a family from eviction, helped pay down overwhelming bills and paid to repair the only vehicle used to travel back and forth to the hospital. The situations are heartbreaking and all too real. In recent years, including the hospital donations, we have given to over 480 families in need, totaling more than $2,420,000 in and around New England. That’s a lot of fundraising for a small charity, and the more the word gets out, the more requests we get. Mass. Chief’s of Police Assoc. Mass. State Police Commissioned Officers Assoc. Southeastern Mass. Police Chiefs Assoc. State Police Association of Mass.